Remember when I posted about Gigi New York‘s one-of-a-kind saddle bags a few weeks ago? Now the Gigi team is back with more goodies, perfect for a last minute holiday gift for your friends, family or yourself! Each bag is hand-made in New York City and has unique markings – don’t you just love owning things that nobody else can have? That’s a gift in itself, in my opinion. They’d be great worn as a clutch, a cool cosmetic case for you or dopp kit for your dude. At only $150 a piece, they’re easy gifts for everybody. Click here to check out the full collection of calf-hair bags at Gigi New York, and don’t forget to check out their other gift ideas for her and for him! 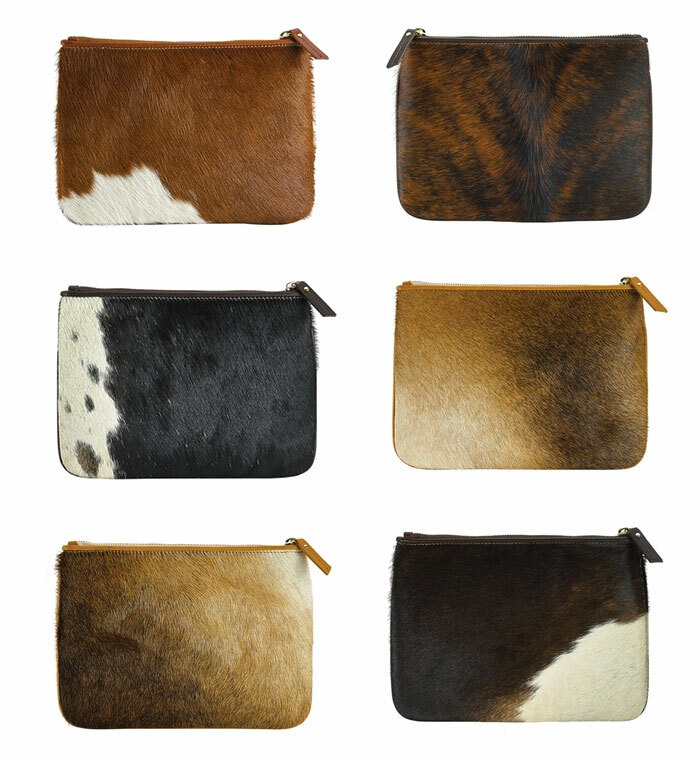 Love calf-hair bags, these are super cute. So luxurious, I recently discovered this brand and just love what I see! I love these Gigi Clutches! So cute! These are gorgeous!! Love Gigi NY!